Like so many of the Hebridean isles, the Isle of Islay has been blessed with pipe music for the past two millennia and for many years the Islay Piping Society dominated the music scene on the island. 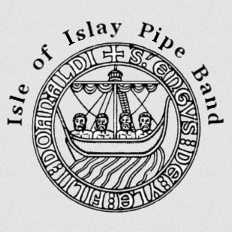 Although history shows the formation of a pipe band in the early 1950’s, it wasn’t until April 1992 that some islanders got together and decided to start the current Islay Pipe Band. It was duly formed and subsequently registered with the Royal Pipe Band Association in Glasgow and under the leadership of Nigel Morris, the band won their first trophy at Pitlochry in 2006. Since then, the band has progressed steadily from Grade 4B to Grade 3A, winning the Scottish, British, two European titles and a (Grade 4A) Champion of Champions crown along the way. 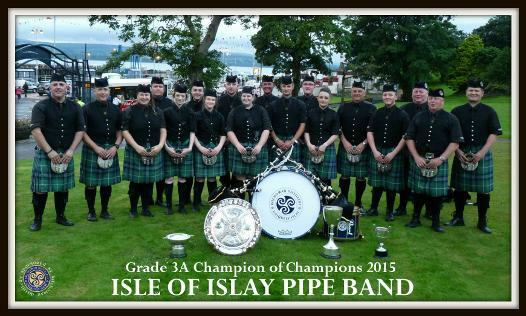 Led by Pipe Major Nigel Morris and Leading Drummer Aidrian Watt, Islay Pipe Band were promoted to Grade 2 and attend all the major competitions, hoping to continue their success in the coming season. In the past the band has taken part in New York's 'Tartan Day Parade' and has performed in major venues in Glasgow and Edinburgh with 'John Rae's Celtic Big Feet'. Islay Pipe Band play at many events around Islay and Jura, including 'Feis Ile' (The Festival of Malt and Music), the Islay Beach Rugby Tournament, The Isle of Jura Music Festival and numerous weddings and ceilidhs. * Regular weekly practices and tuition are held in' Ionad Chaluim Chille Ile' Bowmore on Tuesday and Thursday evenings - Contact Nigel Morris for more info. Funding a competitive pipe band is a very expensive business....from the twice weekly hire of the practice venue, maintenance of pipes, drums, uniforms and the purchase of equipment for new members; to the added financial burden which living on Islay places on the band. The high cost of travel to and from the island can prove extremely prohibitive and therefore Islay Pipe Band are indebted to Kilchoman Distillery whose sponsorship since 2012 has helped finance accommodation and travel, thus enabling the band to compete at all five major championships on the mainland. 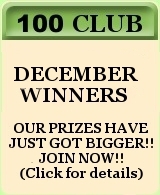 Recently, the band organised a dinner-dance at the Grosvener Hilton Hotel in Glasgow which was an outstanding success and they continue to fund-raise locally, hosting dances, bingos etc and of course the ever popular '100 Club' - details of which can be found opposite. With the ongoing support of Kilchoman Disillery and the many individuals and businesses both on Islay and the mainland, the band can hopefully continue in its role as worthy Islay ambassadors for many years to come!